« Glen Hansard, Jape, Davit Kitt, Andy Irvine & More for HAITI Benefit! Although three days boozing has made Tickets There a little reluctant to write anything, let alone listen to and review a new band, we’re pressing ahead! There’s a band in Cork that I’m told deserve attention and we felt our EP Review category could use a boost so here it goes. Cellar Door formed in late 2005 by four lads from Cork. Can’t say for when this EP was released but it was in the last year any who (lads, update your blog or details). There’s just three songs so it’s a nice tidy selection of material. Opening track, Role Model is a mix of many, many different styles. The tempo of the song is similar to The Killers or Snow Patrol but it’s played with harder edge. The Verse is similar to something the Flaws would write but the chorus is such a restrained burst of Ian Curtis-esqu power. Just as that fades there’s a ripping, shredding awesome guitar solo thrown into the mix. The second half of the track makes much better use of the chorus and leaves you happy enough that these guys have alot to offer. Warsaw follows and it’s a more Stone Roses-E / darker number. The singer, Dave Barrett’s voice is great. There’s a real low depth that bellows softly over the music adding a great backing all by itself. The songs less upbeat that Role Model and it’s closer to something Snow Patrol would play, especially during the chorus. Role Model had the great chorus, Warsaw has the best verse. The guitars makes another appearance but this time it’s much more toned down and held back and doesn’t contribute have anywhere near the same effect. Not bad but nothing that would get Tickets There excited. Petter Pot’s finishes things off and this time it’s a ballady number. Some of the lyrics have just been used far too many times before. The music’s nice but bland and it’s just not strong enough to convince us that it’s from the heart. Overall not bad. Role Model has its moments, Warsaw has its moments and Petter Pot isn’t good enough to be that famous so it won’t annoy you in the long run. Tickets There thinks the singers voice is too good on the first to tracks to waste it on the same singer songwriter effort every other musician in the country writes. Check out their MySpace by Clicking Here! 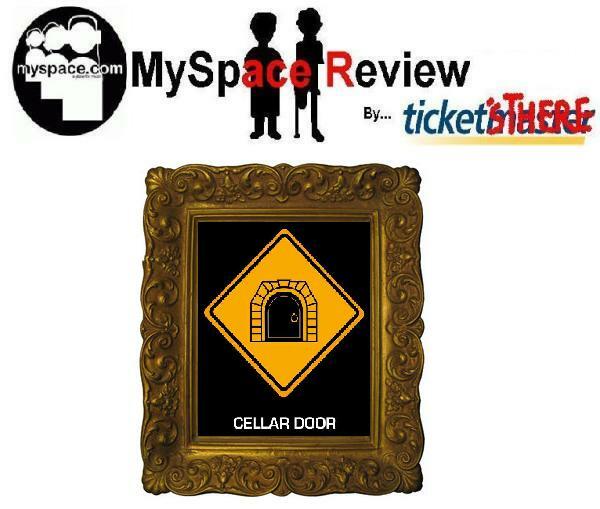 This entry was posted on January 22, 2010 at 1:37 pm and is filed under EP Review, IRISH NOISE!, Music, MySpace Review with tags Cellar Door, Cellar Door EP, Cellar door ep review, Cellar Door MySpace, Cellar Door reviews. You can follow any responses to this entry through the RSS 2.0 feed. You can leave a response, or trackback from your own site. Thanks very much for the review, it made me all warm and fuzzy inside.